▲ TIER-1: 10 Web 2.0 Properties PR9-PR1 with Contextual Backlinks to your Url + 10 PR6-PR1 Article Directories Submission + 30 PR8-PR3 Social Bookmarking. 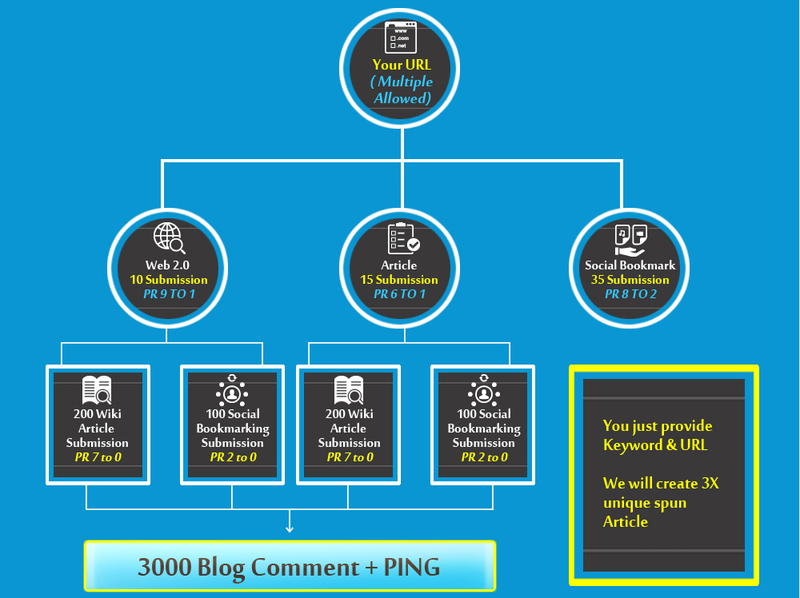 ▲ TIER-3: 3000 Blog Comments + Lindexed. Link Pyramid Special: The entire tier-1 is 100% manual on the top sites of those directories. ​Link Pyramid PRO: This Link Pyramid is a combination of multiple directory including Social Signal. 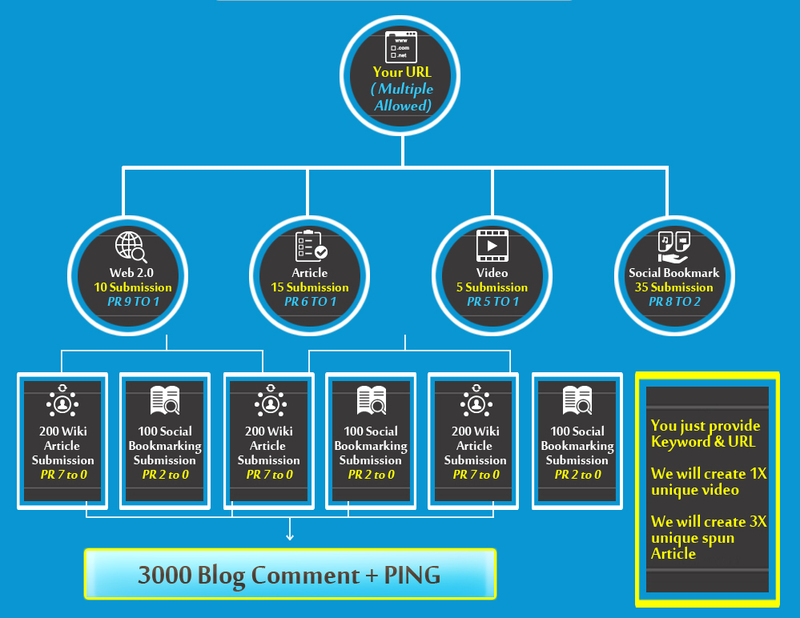 provide SEO service of 3550 backlinks to boost your ranking is ranked 5 out of 5. Based on 293 user reviews.